Why choose HDFC Bank Credit Cards? HDFC is at the top of the credit market, with over 20 types of different cards that serve all shopping, travelling and lifestyle needs. HDFC credit cards are loaded with the greatest features, jaw-dropping discounts and reward benefits. These cards are well suited for all categories of shoppers, whatever be their lifestyle and spending habits. Platinum Times Card: Unlock a host of privileges with the Platinum Times Card. The card offers various benefits at shopping, apparel, dining and up to 25% off on movies. The card also offers amazing around-the-year discount offers at participating movie and dining outlets in your city. Attractive Reward Programme such as Weekday Dining Bonanza, helps you earn extra points. Titanium Times Card: Titanium Times is a great entertainment card which offers flat 25% off on movie tickets and up to 15% off on dining, throughtout the year. The card also comes with a bouquet of discount vouchers as welcome gift, Weekday Dining Reward Bonanza, and fuel surcharge waiver. Jet Privilege HDFC Bank World Card: The JetPrivilege Card is one of the best lifestyle and travel cards which offers various milestone benefits such as Priority Pass membership and lounge access. The card helps you save in the form of JPMiles Accrual Programme that offers up to 7,500 Bonus JPMiles. Regalia Card: Regalia is primarily a travel benefits card that is also high on Reward Points. Complimentary Airport Lounge Access through Priority Pass Membership, complimentary Club Vistara Silver membership, best-in-class rewards programme are some of its greatest selling points. Freedom Card: The Freedom card offers unlimited benefits in the form of Reward Points. The card offers 5x Reward Points on dining, movies, railways and grocery spends, with fuel surcharge waiver. Income: The minimum income of the applicant should be Rs. 12,000 for salaried employees and annual income after tax deduction should be Rs. 250,000 for self employed. 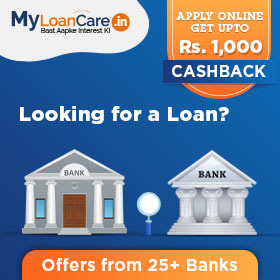 Usually, HDFC Bank gives a credit limit of 2 to 3 times of the monthly income you earn. For salaried individuals, it is based on the net monthly salary and in case of self-employed individuals, it is based on the income declared in IT return filed for the last financial year. In case you have an existing credit card from HDFC Bank or from any other bank, then HDFC Bank will not check your income and your credit card eligibility will be checked based on existing credit card's transaction history. CIBIL Score: Most banks, including HDFC Bank prefer a credit score of 700 and above before sanctioning a credit card for you. A lower score reduces your chance of getting credit card approval. A high credit score would allow you to get an easy approval on credit card. If you already have a credit card then HDFC Bank checks your existing credit card's transaction and payment history to ensure that you are capable to make repayments on time. Existing Relationship with HDFC Bank: If you already have an account with HDFC Bank, you have a higher chance of getting a credit card. HDFC Bank comes with special credit card schemes for its existing bank holders which would mean higher credit limit, waiver or discount on joining fees and annual fees and special promotional offers as a joining pack. In addition, if you have been maintaining a good balance in your account consistently over the , past few years, you are more likely to secure a higher credit limit on your card. Age: Bank has different credit cards targeted at different age groups and income groups of borrowers. You can apply for a credit card from HDFC Bank if you are at least 21 years old upto maximum age group of 60 years. However, the minimum age to get a credit card from HDFC Bank varies by various schemes depending on the card your choose to apply for. The type of documents required differ for new and existing card holders. Existing credit card holders are those who already own a credit card either from HDFC Bank or from any other bank. In this case, income documents are not required. How can I check my HDFC credit card statement? Step 2: Click on "Continue"
What is the interest rate for HDFC credit card? The Interest rate on HDFC Credit Card varies from card to card. The rate on the HDFC Bank credit card ranges from 3.40% to 3.49%. Pay your HDFC credit card bill before the due date to avoid interest charges. 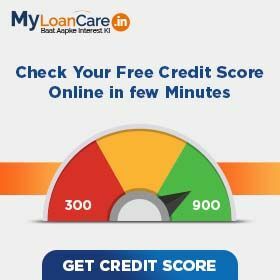 How can I download HDFC credit card statement? How can I redeem my HDFC credit card reward points? How can I check my HDFC credit card balance by SMS? If the credit card holder wants to know about the available credit card balance send an SMS in the below-provided format from your registered mobile number.